Home / Ancient Migration / Easter Island / Polynesians / Ancient Migration? When did Humans first Set Sail? Something I often discuss on this blog is the relationship between humans and the sea. So when exactly did humans start sailing? Well, I’m pretty sure we all know that there were already people in the Americas when Columbus got there, so clearly someone was there before him. Assuming the out of Africa theory, how did people reach the Americas thousands of years ago when people didn’t yet know how to sail over long distances? The going explanation is that humans first crossed over to the Americas on an ice bridge across the Bering Strait, roughly 20,000 years ago. There are several problems with this theory, including the fact that there have been humans settled in America for much longer than that. Anyway, we’ll come to that in a minute. To find out where people may have sailed, we can start with where civilisations have been found. Personally, I believe that one of the strongest cases for ancient sailing or migration is the island of Sulawesi in Indonesia. The Pettakere Cave in Sulawesi is considered to be the oldest cave painting ever found, dating to about 35,000 years ago. So what does this have to do with ancient migration? Assuming the out of Africa theory, to get to Sulawesi, humans would have had to travel there all the way from Africa. Now there are two main problems with this. The first, is that Sulawesi is an island. The second, is that this island is surrounded by a massive trench over 5 kilometers deep. The reason I mention the trench, is that this means Sulawesi has always been an island. Even 10,000 or 50,000 years ago when the Earth was still in the throes of the Ice Age and many of the Indonesian islands were still connected to each other… Sulawesi was still an island. Oops, I forgot to name the islands. Sulawesi is the one that looks like an octopus. 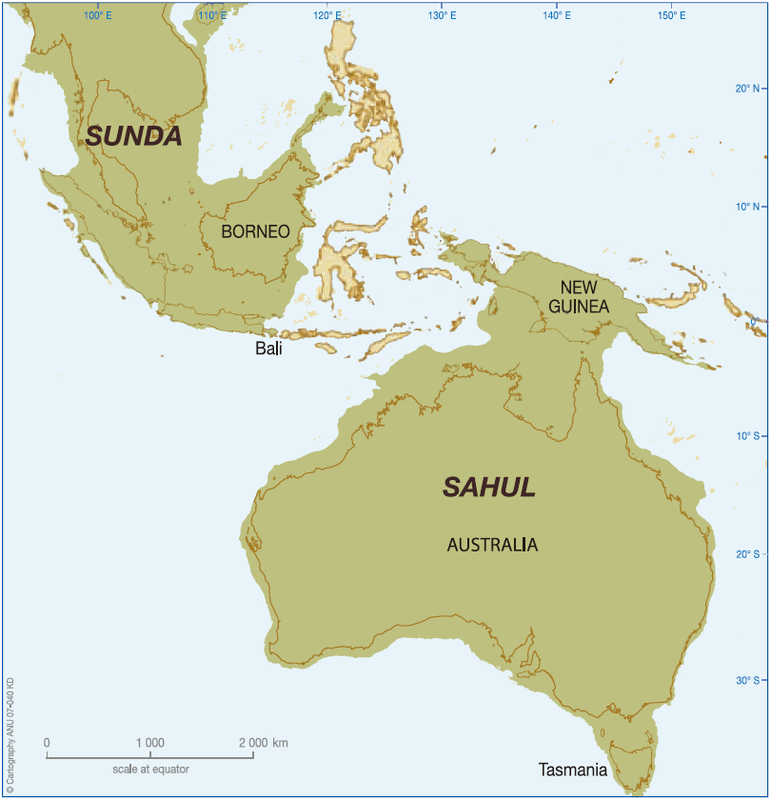 In the image above, you can see a map of Indonesia and Australia during the Ice Age. During that time, the islands were combined into two main islands of Sundaland and Sahul, with Sulawesi in the middle. Aside from being an island, the Sulawesi Sea is famously known for having strong ocean currents and formidable obstacles – it would take skilled sailors to cross this sea. 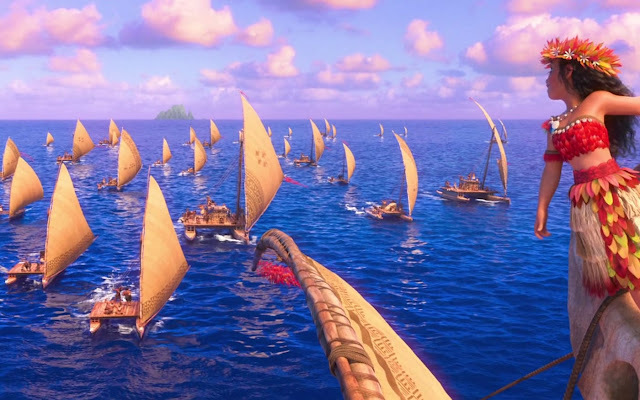 At this point, it’s pretty much accepted that the Polynesians were fully capable of navigating across vast stretches of ocean by knowledge of the winds, stars, and currents. Easter Island is probably the most well-known of these, but actually the Polynesians successfully settled on many islands in the Polynesian Triangle, which stretches across a large portion of the world’s biggest ocean. Based on this, it should be no surprise that there may be a link between Native American and Polynesians. Maybe Thor Heyerdahl was right after all, but we'll get to that in a minutes. For whatever reason, many of the pre-columbian settlement theories by way other than the Bering Strait are dismissed as “fringe science.” Considering the fact that the Polynesians were accomplished sailors, it surely makes more sense to go over water than by battling the extreme climates of the Bering Strait. Despite the proof of colonized islands throughout the Pacific, some still have the idea that ancient people were “too primitive” to sail, and were only able to embark on trans-oceanic voyages after the creation of larger vessels which were large enough to carry enough food and water for the journey, and withstand the might of the ocean. This notion was dismissed in 1947 when Norwegian explorer Thor Heyerdahl sailed 8,000 kilometers across the Pacific Ocean in a hand-built raft from South America. The expedition took 101 days. 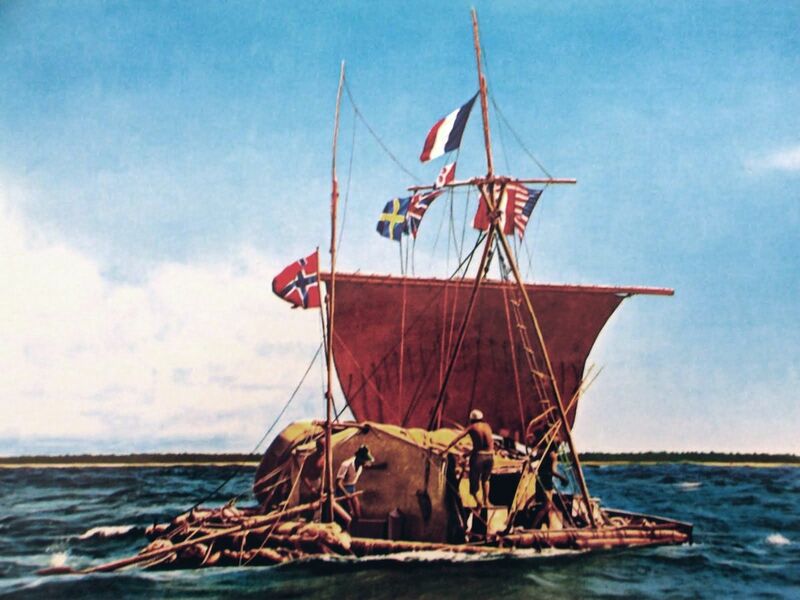 Thor Heyerdahl's Kon-Tiki Expedition across the Pacific Ocean. Another interesting thing that may show proof of ancient oceanic travel is tracing the origins of certain species of plants, and then finding the existence of those species of plants on multiple continents. The sweet potato is native to the Americas, but yet was widespread in Polynesia by the time the European sailors got there. So whether the Polynesians reached America and brought some sweet potato home, or if the Bering Strait travellers later sailed to Polynesia, well – someone was sailing somewhere. 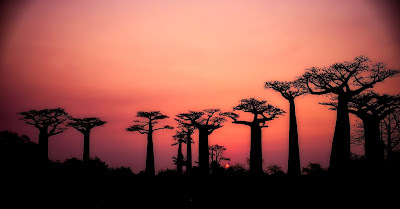 Baobab Trees are pretty awesome looking. The Baobab Trees are native to Africa and can grow to enormous sizes. 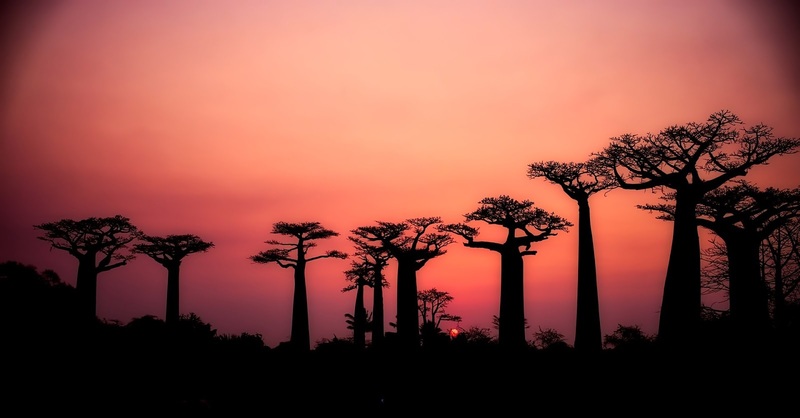 The trees can be found in 32 African nations and can live for thousands of years. In present day, Baobab trees can be found in several countries outside of Africa, including Australia, India, and China, where they were introduced during times of trade. However, there is something mysterious about certain Baobab trees in India, which is the fact that they are 5,000 years old. Are Native Americans from Polynesia? Are the Sama Bajo Polynesians? How did the Baobab Tree get to India? Thoughts to add? Let me know in the comments! The people who migrated into Beringia could not have traveled overland into the Americas until about 10,000 years ago. Earlier migrations likely sailed along the coast from northern Japan to North America. I agree. And there is evidence of human civilisation on the Americas far before 10,000 years ago.